In conversation with Carlin Romano, Critic-at-Large, The Chronicle of Higher Education, former literary critic The Philadelphia Inquirer and author of America the Philosophical. 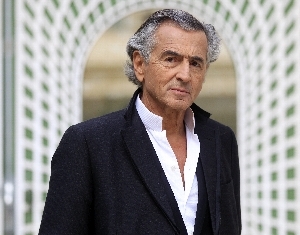 “Perhaps the most prominent intellectual in France today” (The Boston Globe), Bernard-Henri Lévy led the vanguard of the radical 1970s “New Philosophy” movement, a rejection of Marxism and the Left still debated today. This moralistic view culminated in 1979’s controversial Barbarism with a Human Face and continued in Testament of God, in which he advocated an “atheistic spirituality.” He is also the author the internationally bestselling Who Killed Daniel Pearl?, Left in Dark Times: A Stand Against the New Barbarism, and The Genius of Judaism. Lévy’s latest book offers an urgent look at the vacuum created by the United States’ withdrawal from world leadership and the ambitious former empires seeking to fill it.